The Colorado Rockies defeated the Oakland Athletics Friday night, 3-1 to take a 1-0 series lead. 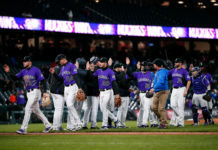 The Rockies were pushed to victory largely in part from the six scoreless innings thrown by starting pitcher Kyle Freeland. The Rockies scored the first run of the game in the second inning. Noel Cuevas started the inning by reaching base via a bunt. 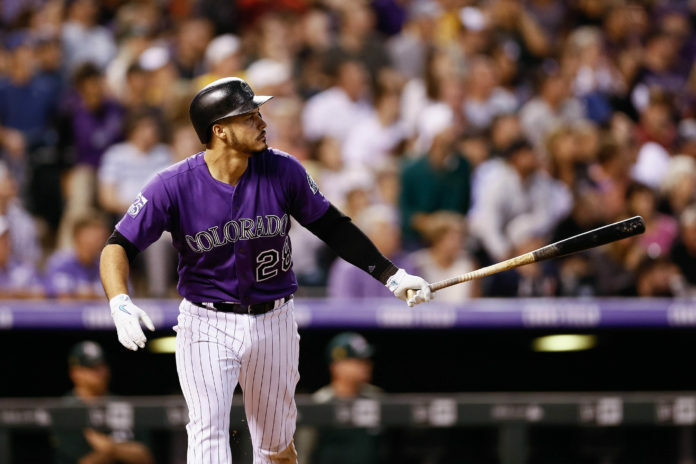 Carlos Gonzalez then hit a single to center field which was followed by an RBI bunt from Garrett Hampson to push a run across the plate and establish a 1-0 lead for Colorado. 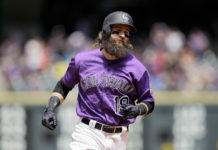 The Rockies added an additional pair of runs in the bottom of the fifth inning which began with Charlie Blackmon hitting a double to right field. Ian Desmond then followed with an RBI single hit to right field, but was then thrown out trying to advance to second base. Nolan Arenado added another run when he blasted a solo homerun to left field, making the score 3-0. 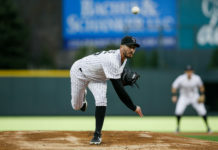 Freeland kept the Athletics’ hitters in check throughout the entirety of his outing as he logged six innings, allowing five hits while striking out five batters. Oakland was able to score in the top of the seventh inning off of Rockies’s relief pitcher Bryan Shaw. After recording the first out of the inning, Shaw surrendered a double to Matt Chapman who then scored on a RBI double hit by Brett Lawrie in the following at-bat. Shaw later retired Khris Davis with Rockies’ manager Bud Black then replacing Shaw in favor of Scott Oberg who recorded the last out of the inning to preserve the lead for Colorado. Oberg was used again in the eighth inning where the Athletics managed to load the bases; however, Oberg was able to maneuver his way out of the jam to escape the inning unscathed. Adam Ottavino recorded the save in a 1-2-3 ninth inning to solidify the victory for Colorado. Blackmon and Arenado each had two hits on the night and Gonzalez had three of his own in the victory. The Rockies are now 55-47 on the season and have won nine of their last 10 games. The Rockies and Athletics will continue their series Saturday night at Coors Field with first pitch set for 6:10 MST.